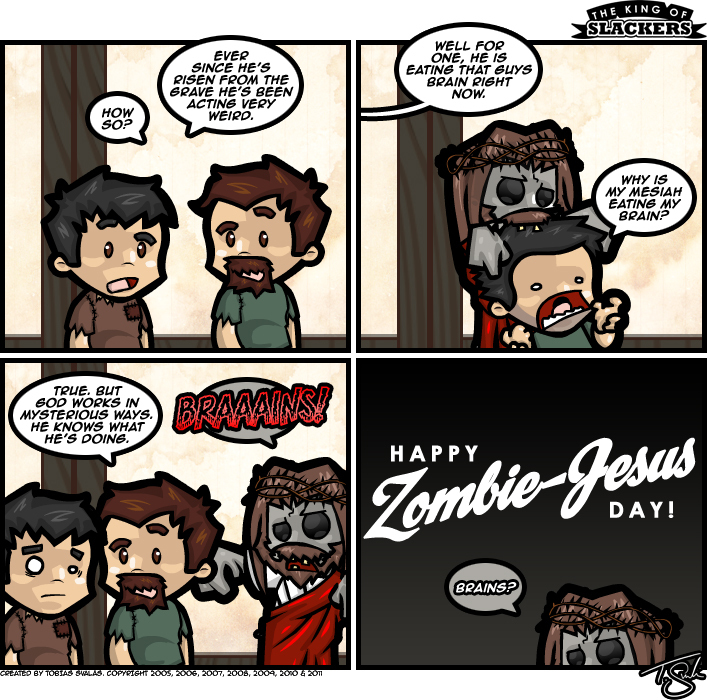 King of Slackers » Archive » Happy Zombie-Jesus Day! In other news: I start my new job on Tuesday. Looking forward to that And the person that is writing the foreword to the book is working on it. And Mr.Ebbe Waxin has made a guest comic for me that’ll be uploaded eventually. Looking forward to that as well So things are looking up for me. But now I am off to enjoy the rest of my Zombie-Jesus Day You guys take it easy and I’ll see you on Wednesday! hahaha good one 😀 zombie-Jesus!